Publicising Human Rights violations and holding perpetrators of torture accountable has been guiding practice for much human rights work. As Prof. Tobias Kelly shows in this contribution to the GJA’s Peace & Conflict blog series: rather than shining light into dark places, many victims want the lights switched off. Kelly suggests that that the need for protecting victims may be more important than the need to hold perpetrators accountable. 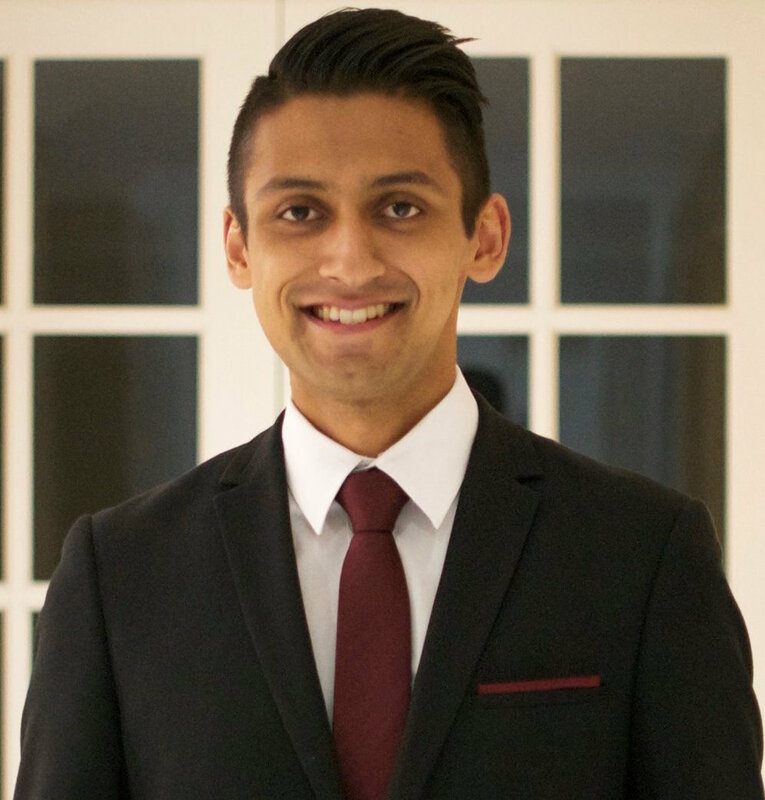 Vivek Bhatt, a Student Ambassador with the Global Justice Academy (GJA), has written this blog following a panel event he attended at the Edinburgh Law School. The event, hosted by the GJA, explored the continuing relevance of legal and political issues arising from detention at Guantánamo Bay. The United States acquired control of Guantánamo Bay in 1903, when it entered into an agreement with Cuba for the perpetual lease of the 45 square mile area. Guantánamo Bay has since been operated as a naval base, and in the 1990s, it was ‘refashioned as a detention camp for those seeking asylum in the United States.’ From 1991 to 1996, more than 20,000 Cuban and 36,000 Haitian asylum seekers were interned in Guantánamo Bay. And, in November 2001, merely days after the declaration of a ‘global war’ against terrorism, a US Military Order authorised the indefinite detention and trial of ‘enemy combatants’ at the camp. The US promptly began transferring individuals captured during its international counterterrorist operations to Guantanamo Bay. A total of 770 have been held there through the course of the war on terrorism. Only 8 men have been convicted, with more than 500 released during the Bush administration, 198 released during Obama’s presidency, and 9 killed in custody. 41 remain in detention, with 14 considered high value detainees and 26 designated as ‘forever prisoners,’ individuals whose knowledge of practices at Guantánamo Bay renders them too dangerous to be released. The legal justifications provided for detention at Guantánamo Bay have been vague, at best. Those transferred to the camp are characterised as ‘enemy combatants’ under the laws of armed conflict, even though many have been captured outside areas of fighting. The camp’s location in Cuba has, furthermore, allowed officials to assert that detainees are not entitled to the protections of the US legal system. According to Harold Koh, Guantánamo Bay is effectively a ‘rights-free zone’ constructed by the US. Its detainees, writes Agamben, ‘[Are] legally unnameable and unclassifiable beings.’ After the release of the Senate Intelligence Committee’s report on CIA torture in 2014, it was finally confirmed that many of these detainees have been subjected to ongoing torture practices as part of their interrogation. The camp has, therefore, come to symbolise the legal and ethical dubiousness of the war on terror, with the ‘visceral image’ of the orange Guantánamo jumpsuit now engrained in public memory and popular culture. Fifteen years on, however, International attention to the legal and political issues arising from detention at Guantánamo Bay is waning. Some, it seems, believe the worst is over, while others may simply have accepted that the goings on at the camp are part of an inevitable, ‘new’ reality of the war on terror. This was the topic of ‘International Law and Guantánamo Detention Operations: Why it Matters,’ a panel event hosted by the Global Justice Academy and the Edinburgh Law School on 9 February 2017. 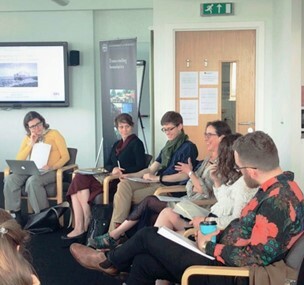 The event aimed to examine the range of international law and human rights issues relating to detention operations in Guantánamo Bay, and was opened by Kasey McCall-Smith, lecturer in public international law at the Edinburgh Law School. 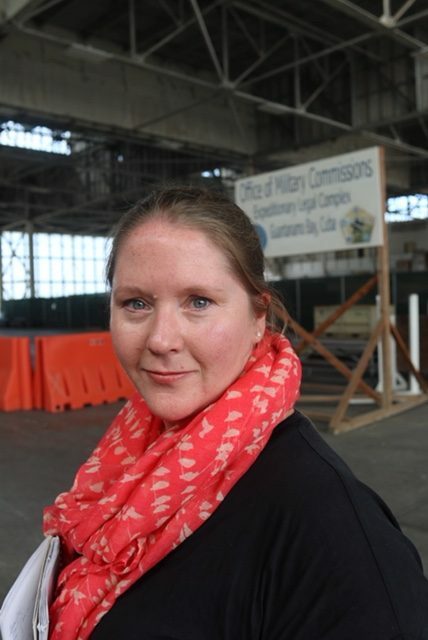 Dr McCall-Smith provided an overview of the breaches of international law at Guantánamo Bay. She began by pointing out that the United States is not solely responsible for these breaches; the international community has facilitated the detention programme at Guantánamo Bay, and has failed to react to the grave violations of human rights that have occurred there. The violations of human rights at Guantánamo Bay begin with rendition flights, which transport terrorists to the camp for interrogation, and have been allowed to land at various airports throughout Europe. Various areas of international law are relevant to rendition, but particularly the prohibition of enforced disappearance. 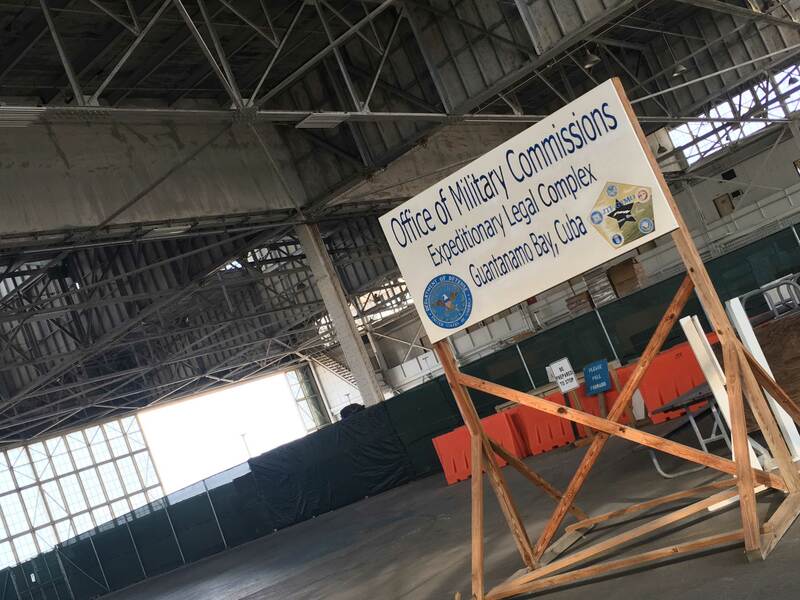 Once at Guantánamo Bay, detainees have been denied their right to visits from a consular official of their national State, protected under Article 36 of the Vienna Convention on Consular Relations. As Dr McCall-Smith pointed out, various provisions of the International Covenant on Civil and Political Rights have also been violated in the course of detention and interrogation at Guantánamo Bay. These include the right to non-discrimination, the right to liberty and security of person, the right to be heard before a court, and the right to be treated with respect for the inherent dignity of the person. Meanwhile, Jacques Hartmann, a senior lecturer in Law at the University of Dundee, spoke of his research into arbitrary detention in non-international armed conflicts. This topic is particularly relevant to Guantánamo Bay, given that most of those taken to the camp are captured as enemy combatants. To Dr Hartmann, the detention of suspected terrorists at Guantánamo Bay is symptomatic of a much larger problem: the lack of treaty provisions that explicitly address detention in non-international armed conflict. The lack of an express provision leads many to infer the authority to detain from the authority to use lethal force. Yet Dr Hartmann warned against such inferential reasoning, reiterating that any detention without legal justification is arbitrary, and is thus prohibited under both international human rights and humanitarian law. As suggested above, the most widely discussed human rights violation at Guantánamo Bay is the continued use of torture. This was the focus of an address given by Dr Mitch Robinson, an international law specialist at the United States Department of Defense. He characterised Guantánamo Bay as a concentration camp; the only people detained there since November 2001 have been Sunni Muslim men. Dr Robinson spoke of one of his clients, a Saudi national who was accused of financing terrorism, and was in the CIAs’ torture programme for three and a half years. Though reports from early questioning suggested that he ‘does not appear to be a financing mastermind,’ the client was repeatedly deprived of sleep, sodomised and water-boarded, among other things. Robinson proposed a strategy for global human rights litigation relating to Guantánamo Bay. He refers to this strategy as ‘collateral advocacy’ for detainees’ human rights through domestic courts, regional human rights bodies, the UN’s human rights treaty bodies and high commissioner for human rights, international non-governmental organisations, civil society, and the application of legal or diplomatic pressure by other States. 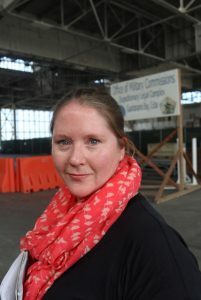 Andrea Birdsall, lecturer in international relations at the University of Edinburgh, pointed out that as the international community has become aware of torture practices in Guantánamo Bay, the US government has moved along a ‘continuum of denials.’ This began with literal denial, a phase in which the Bush administration simply argued that the US Government does not commit acts of torture. This was, however, challenged by the release of the torture memos, which made clear that torture was being used as a government policy. This led to ‘interpretive denial,’ in which it was argued that detainees were not subjected to torture, but to ‘enhanced’ or ‘increased pressure’ phases of interrogation that did not entail the ‘near-death’ experiences that would constitute violations of international or US domestic law. In the final stage, ‘implicatory denial,’ it was admitted that ‘mistakes had been made’ in the interrogation of suspected terrorists, but it was argued that the measures taken were justifiable in times of crisis. To Dr Birdsall, the US government’s treatment of terrorist suspects does not signify the demise of the anti-torture norm. Instead, the discourse surrounding Guantánamo Bay has legitimised the international law prohibition of torture, reinforcing a shared global understanding of the prohibition’s non-derogability. 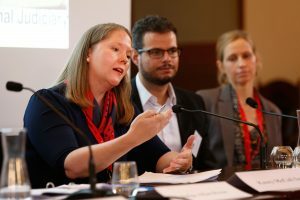 The panel concluded that the programme of detention and interrogation at Guantánamo Bay warrants continued attention from scholars, lawyers, governments, and international civil society. There are three reasons for this conclusion. Firstly, violations of human rights are ongoing; Article 14 of the Torture Convention, for example, requires States parties to rehabilitate victims of torture, an obligation the US government has not fulfilled in relation to Guantánamo detainees. Secondly, Guantánamo Bay is unlikely to be closed in the foreseeable future, and conditions may in fact worsen in coming years. And, finally, the prominence of human rights violations at the camp presents an opportunity for scholars and practitioners to reflect upon the state of the international rule of law, and to reify the value of the fundamental rights protected within the international legal order. Vivek Bhatt is an Edinburgh Global Research Scholar, and is reading for a PhD in Law. He holds an MSc in Political Theory from the London School of Economics and a Master of International Law from the University of Sydney. Vivek’s research interests span public international law, international political theory, and counterterrorism. 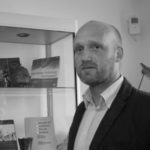 His current research relates to the engagement of individuals in the international legal system through the course of the war on terror. Fleur Johns, ‘Guantánamo Bay and the Annihilation of the Exception’ (2005) 16(4) The European Journal of International Law 613, 616. Mary Ellen O’Connell, ‘The Choice of Law Against Terrorism’ (2010) 4 Journal of National Security Law & Policy 343, 353. Quoted in Joan Fitspatrick, ‘Spekaing Law to Power: The War Against Terrorism and Human Rights’ (2003) 14 European Journal of International Law 241, 242. Giorgio Agamben, State of Exception (Kevin Attell trans., University of Chicago Press, 2005) 3. This phrase was used by Mitch Robinson, a panelist at ‘International Law and Guantánamo Detention Operations: Why it Matters’, hosted by the Global Justice Academy and Edinburgh Law School on 9 February 2017. Vienna Convention on Consular Relations, signed 24 April 1963, 596 UNTS 261 (entered into force 19 March 1967) art 36.
 International Covenant on Civil and Political Rights, opened for signature 16 December 1966, 999 UNTS 171 (entered into force 23 March 1976) art 2. See, for example, Philippe Sands, ‘Torture Team: The Responsibility of Lawyers for Abusive Interrogation’ (2008) 9 Melbourne Journal of International Law 365, 366. Convention against Torture and Other Cruel, Inhuman or Degrading Treatment or Punishment, opened for signature 10 December 1984, 1465 UNTS 85 (entered into force 26 June 1987) art 14. The Edinburgh Legal Theory Research Group had the pleasure of hosting, with the kind sponsorship of the Global Justice Academy through its Innovative Initiative Fund, the Workshop on Dignity on 6 October 2016. The workshop had three speakers: Ioanna Tourkochoriti (National University of Ireland Galway), Colin Bird (University of Virginia), and Adam Etinson (St. Andrews). This guest post by co-organisers, Lucas Miotto and Paul Burgess, discusses the presentations and debate that took place. The workshop was well attended by both staff members and students. An interesting, and beneficial, feature of the audience, was that it reflected the interdisciplinary character of the topic; we had attendees coming from myriad fields, such as politics, human rights, international and constitutional law, as well as legal and moral philosophy. Discussion was very lively and, perhaps due to the diverse character of the audience, presenters received feedback and questions from several different angles.